Rye Project owner Adam Mesnick made a name for himself at Deli Board before setting up his own shop. 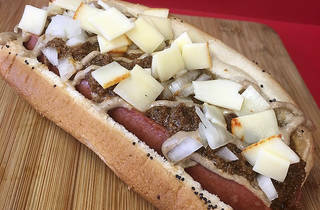 Though he’s best known for Jewish deli staples—corned beef, pastrami, smoked fish—the expertly-assembled $5 dogs are worth a cross-town trip. 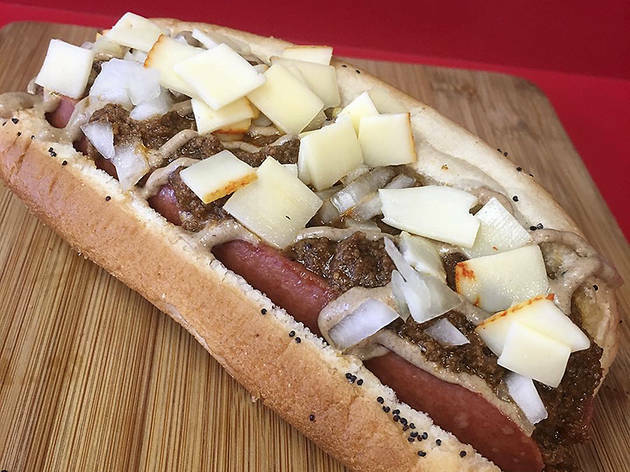 Rye is one of the only places in the city to get a real Chicago-style dog, which is topped with sport peppers, pickles, neon green relish, onion and celery salt. (Mesnick adds Cleveland brown mustard to his, a secret sauce he squirts liberally on most sandwiches and sides.) Pair it with a sour pickle, some dirty chips and a Dr. Brown’s cream soda. No ketchup? No problem.